Ouch, shall i dismiss my childhood PKI-knowledge? I've stumbled upon a certificate issue that I just can't figure out. As far as I known when a new certificate is created it's locked onto that (trust) chain, but here it's seems like the root certificate has been swap'ed with a another one which is second in chain. I've realized that I'll not be able to figure this out until I by occasion find a clue, so here's the facts. 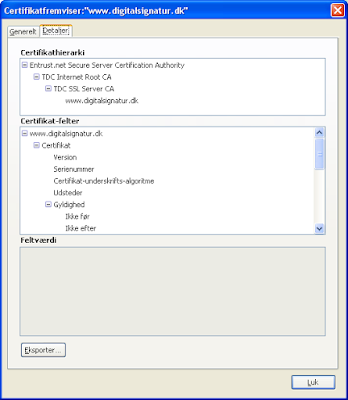 The SSL Server Certificates issued by TDC some times use the Entrust root certificate. It looks like especially IE6/7 doesn't care much for it, that is until you removed the old root certificate from your trust store! 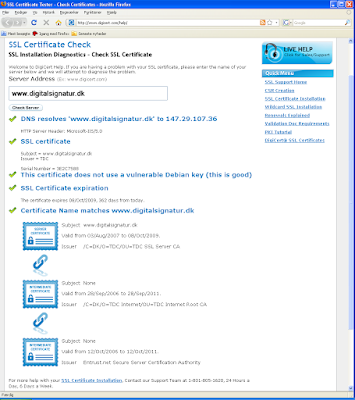 As an example I'll take the website http://www.digitalsignatur.dk run and owned by ITST. 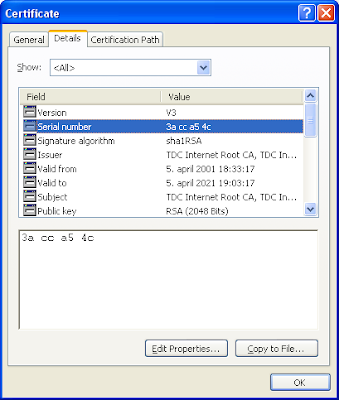 and in between is the TDC SSL Server CA with the serialnumber 3c 1a 02 e2. 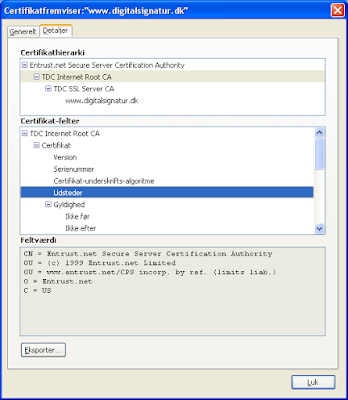 Explicit Text: Dette certifikat er udstedt under TDC Internet CAs Certifikat Politik for SSL Server certifikater (OID=1.3.6.1.4.1.4386.2.1.1.1). 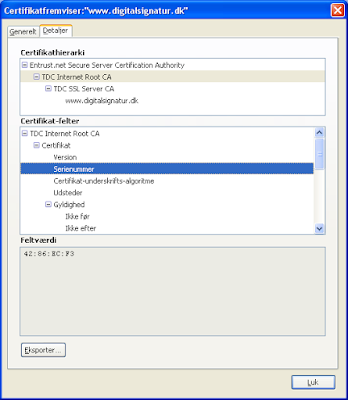 This certificate is issued under TDC Internet CAs Certificate Policy for SSL Server certificates (OID=1.3.6.1.4.1.4386.2.1.1.1). 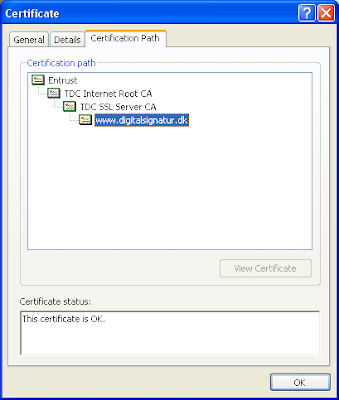 Explicit Text: For use solely with SSL certificates issued by TDC Solutions A/S to authorized subscribers.\\r\\nDOES NOT represent any endorsement by Entrust Inc. or its affiliates as to the identity of any certificate holder. 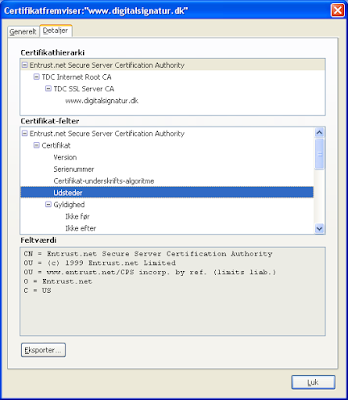 That the view in firefox, OpenSSL and DigiCert seems right and that IE will display the same when the old root certificate is removed from the certificate store. At present I can't tell the exact reason for whats going on here, but i you known I'll be glad to hear of it!